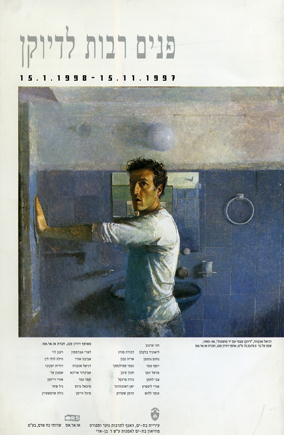 The exhibition “The Portrait – Works from the Doron Sebbag Art Collection, ORS Ltd.” was part of a larger show called “Portraiture’s Many Faces”, held at the Bat Yam Museum of Art in 1997 through 1998. The visitor’s path through the exhibition resulted from a collaboration between the museum’s collection and the Doron Sebbag Art Collection. The Bat Yam Museum’s collection includes portraiture from the beginning of the twentieth century and until the establishment of the State of Israel in 1948, while works from the Doron Sebbag Art Collection present portraiture by contemporary Israeli artists. Portraiture has enjoyed a central status throughout art history. As the works in the exhibition aim to reveal, it continues to be relevant in contemporary culture. While the works presented here vary in style and content, they share a common quality: The human image is their focal element. Yet, whereas in some of the works the human figure is simply an object for study, in others the portrait constitutes a critical discourse that carries social and cultural implications. The resonance between these two poles reveals the presence of the painterly medium in photography, and vice versa. The photographic portrait encompasses diverse approaches to the depiction of the human face – from the sharp, informative and “objective” photograph, to a more abstract and “subjective” representation. 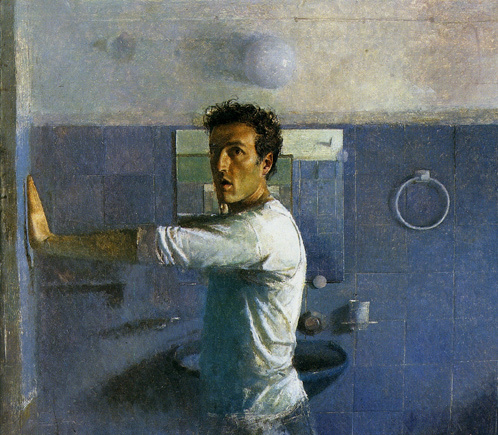 The exhibition offers a re-examination of the different ways of handling portraiture in general, and self-portraiture in particular.